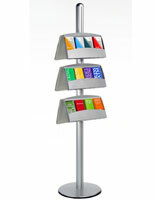 More Number of Pocket & Color Options Available! 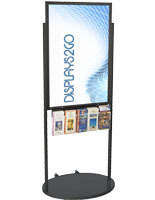 Need to buy a literature stand for the upcoming trade show? 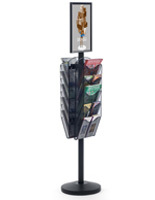 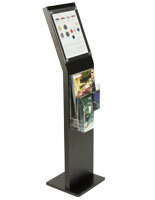 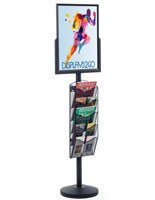 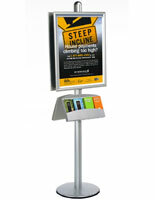 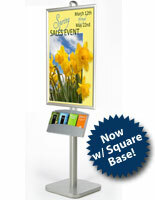 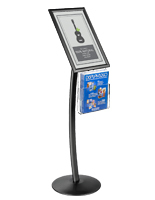 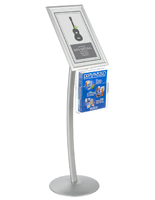 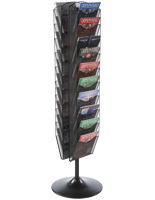 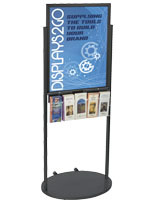 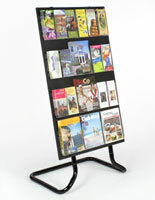 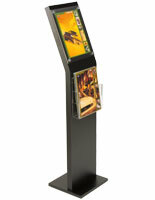 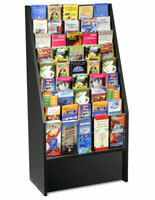 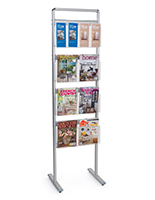 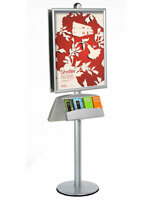 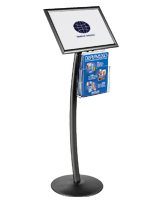 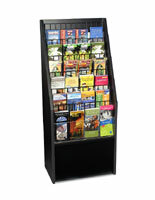 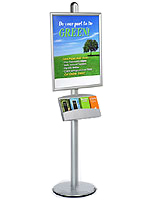 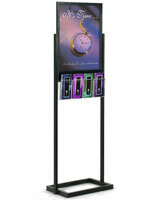 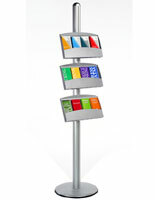 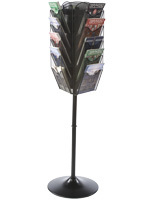 These floor standing brochure holders offer easy setups with portable designs. 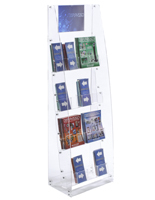 In addition, we also sell non-collapsible stands for more traditional applications in business lobbies and retail establishments. 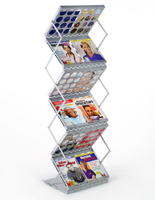 The sheer number of our floor standing brochure holders is huge, so we suggest utilizing the filtered list at the top left of this page in order to narrow the field down. What kinds of literature racks are available? 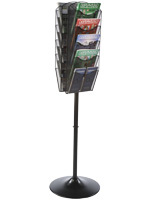 Standard styles that feature many pockets are excellent choices for chamber of commerce offices and community centers, simply because those establishments usually display lots of takeaway flyers and pamphlets. 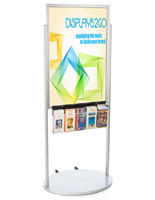 Brochure stands that come with poster frames are great for financial institutions and come in many upscale wood, metal, or acrylic finishes. 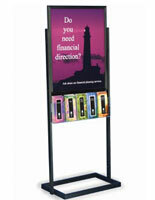 These models boast large format graphics with your choice of five to ten pockets located directly beneath. 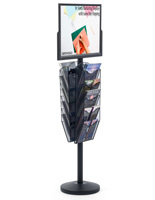 Banks like to advertise their investment offerings while stocking folded pamphlets outlining rates and such. 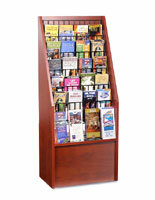 Placement plays a big part regarding the success of any marketing strategy. 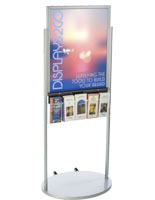 Place one of our floor displays next to customer waiting lines to attract attention! 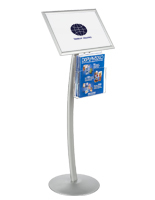 Trade show brochure stands feature one qualifying detail: the need to be portable. 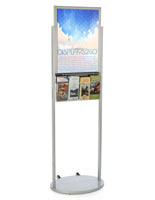 Traveling salespeople exhibiting in a booth bring their displays with them so they need an easy way to transport from plane to hotel to convention center. 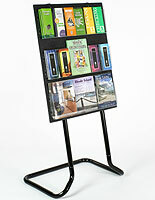 Our portable brochure stands collapse using scissor-like designs, into their very own carry case or bag. 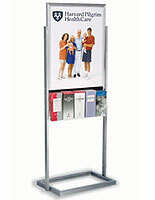 Most models feature rugged aluminum construction with impact-resistant polycarbonate literature pockets. 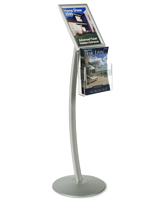 Making the best first impression is important for any business, and these professional literature fixtures help you do just that.